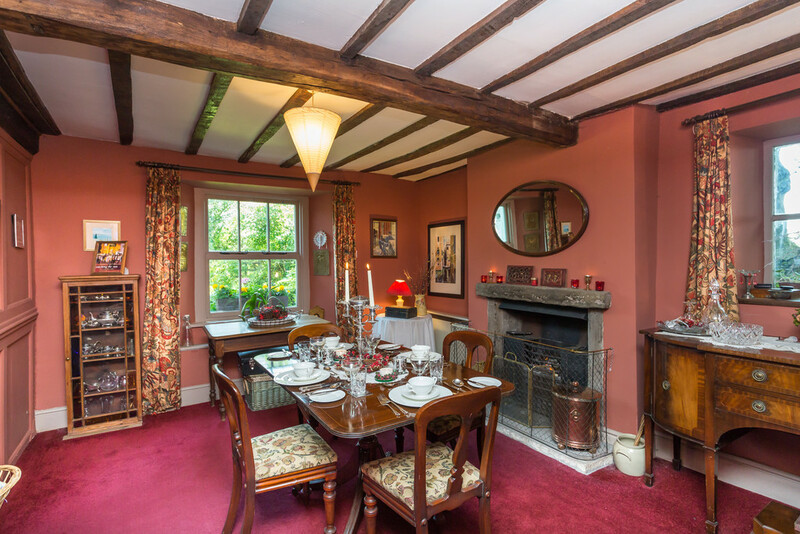 This charming extended, period cottage presents a unique opportunity to acquire a characterful home full of wonder and intrigue that is steeped in history and surrounded by abundant lush green gardens that create a tranquil haven within a truly peaceful countryside setting. 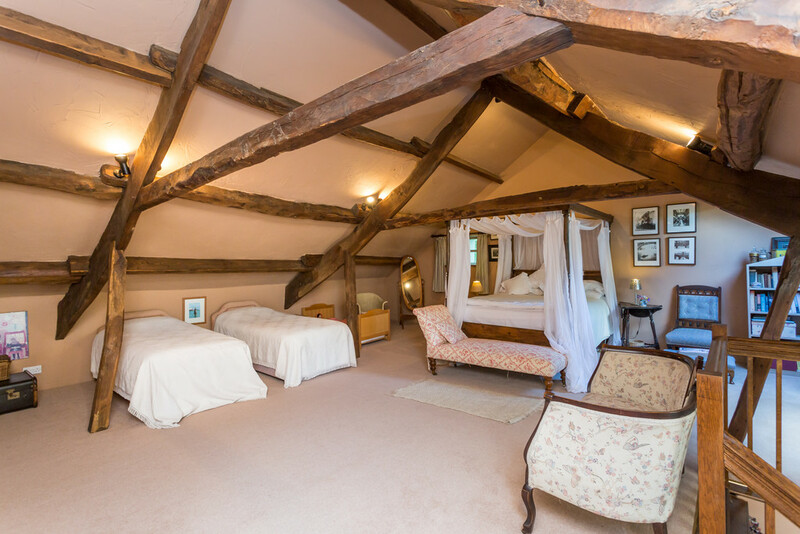 The original property dates back to the 17th century and was then extended to include the addition of the first floor and attic in 1738 by the Simpson family.The property is therefore full of features original to the 17th and mainly the 18th century typical of the Georgian era such as wooden panelling to the walls and exposed ceiling beams found across the three floors. 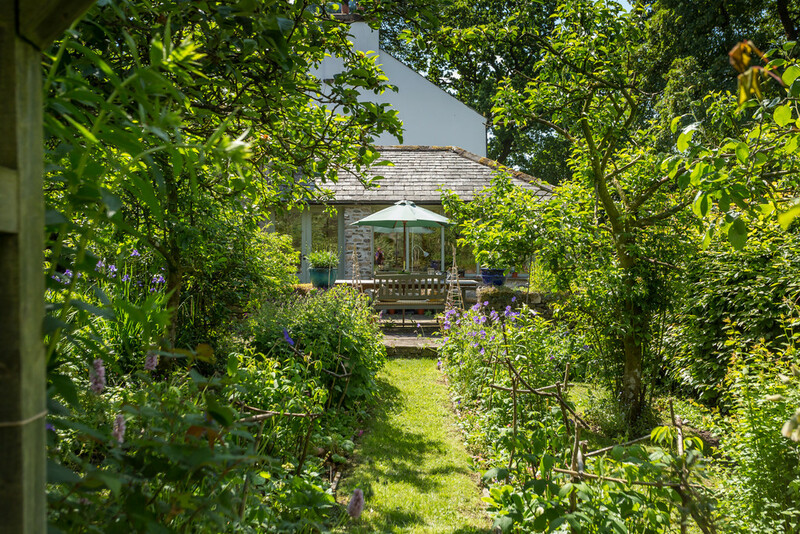 The property was further extended in the early 2000s with the addition of a stunning garden room that is the perfect finish to this romantic country home. 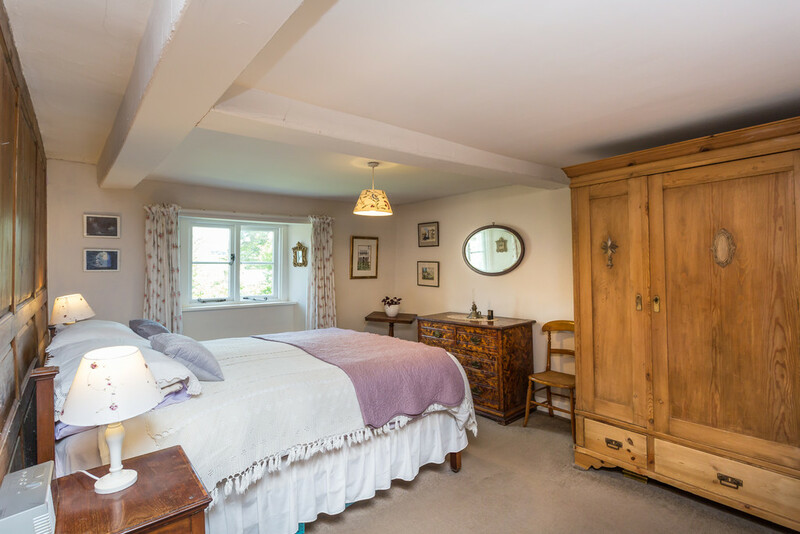 Therefore at present, there are a total of four reception rooms on offer, a charming bespoke kitchen and 4/5 bedrooms, of which two are ensuite and there is a family bathroom, all set across the three floors. 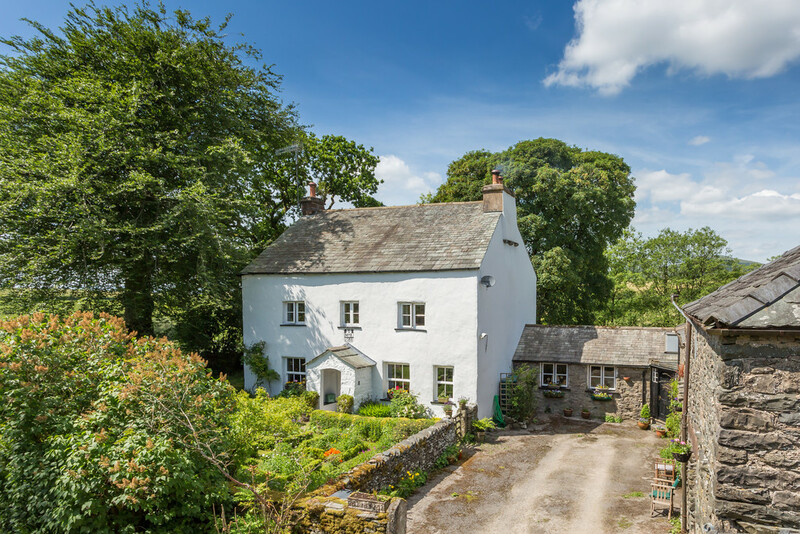 Castley Bank sells the countryside ideal and self sufficiency dream. 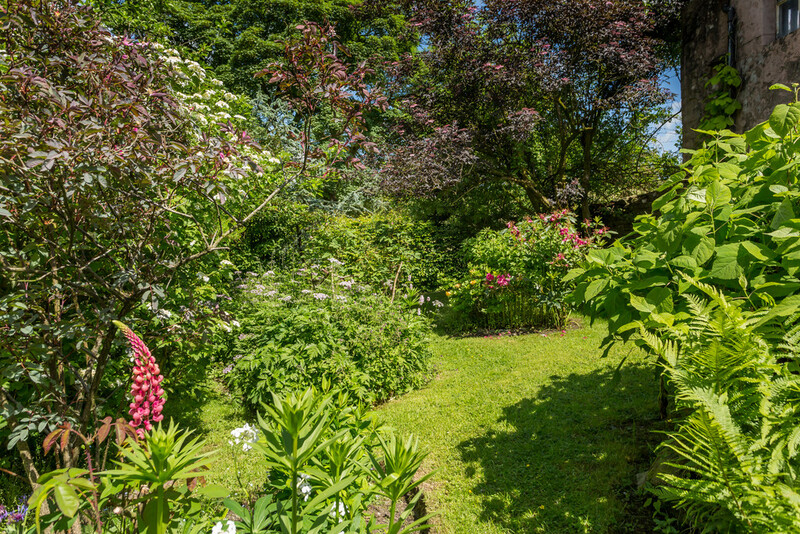 Set in a private plot of approximately 2 acres, the gardens have been well landscaped and are a haven for keen gardeners with an array of plants, shrubs, flowers and even a kitchen garden. 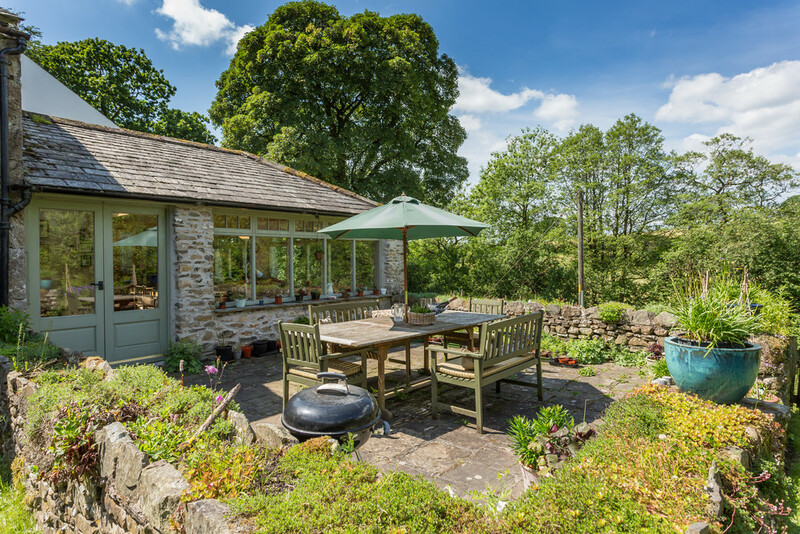 Furthermore, the adjoining stone built barn presents an exciting opportunity to potentially convert into a separate dwelling that would make a lovely home or idyllic holiday let, subject to relevant planning of course. Grayrigg is a lovely village located just outside the borders of the Lake District National Park, within a 4 mile drive of Kendal town. 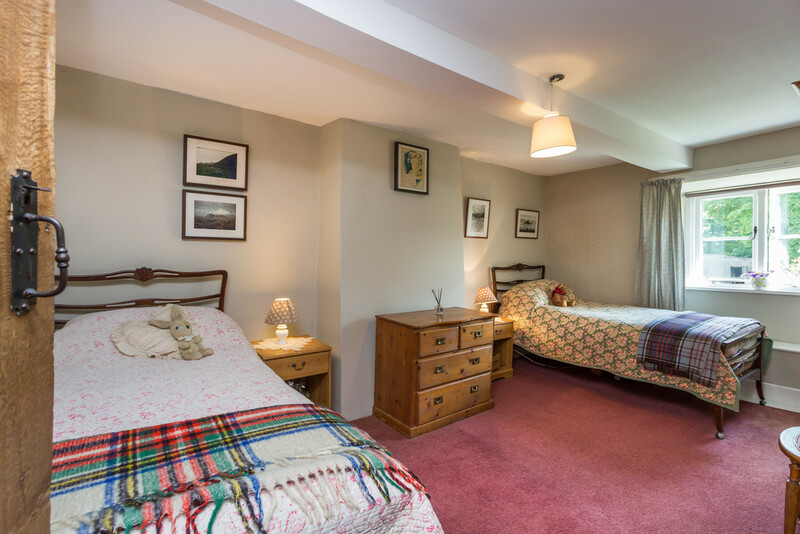 Surrounded by local countryside, the village is peaceful and offers a quieter pace of life centred around a well regarded primary school, village hall and 19th century church. 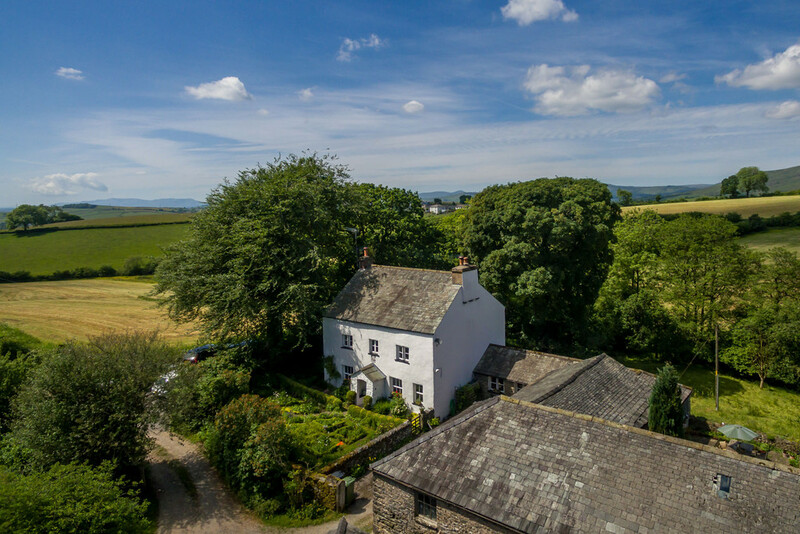 The convenience of Kendal offers the best of both worlds, a quiet countryside location with access to supermarkets and bustling town centre just a short drive away. Access to the M6 is also located approximately 4 miles away and the Kendal and Oxenholme train station are easily accessible, perfect for those looking to commute. A private lane leads to the driveway of the property via an additional parking area suitable for several vehicles. 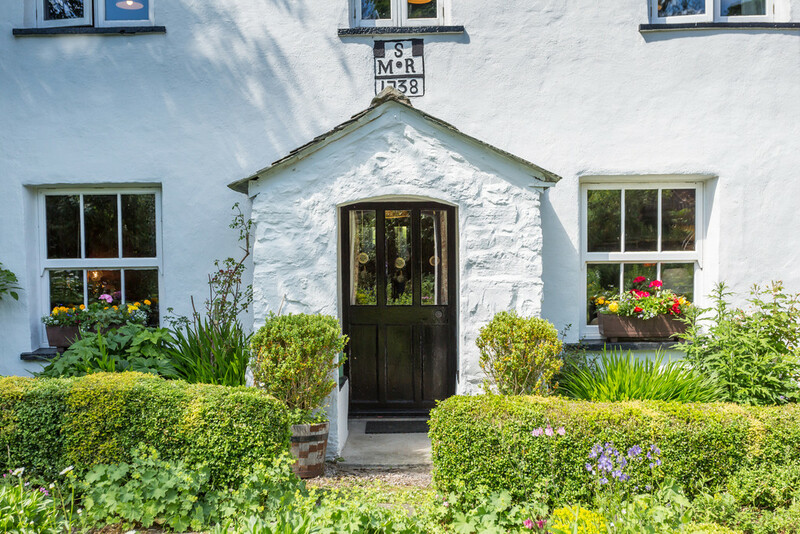 A date stone depicting 1738 sits a top of the entrance door of the charming whitewashed cottage, with a beautifully abundant front garden making for a lovely welcome. Leading into the entrance hall, the period features are evident from the outset with Georgian panelling to the walls and exposed ceiling beams. The first of the reception rooms is the dining room with views over the front, continuing Georgian wall panelling and exposed ceiling beams. There is a working fire set with an exposed stone surround and flagged stone hearth in keeping with the period features. 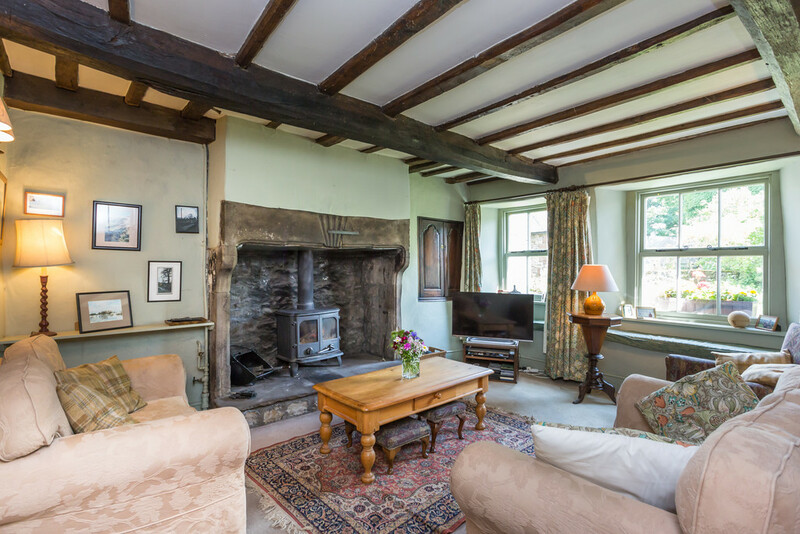 The living room also features wall panelling and ceiling beams along with an original spice cupboard, window seats affront the sash windows looking out over the front garden and the exposed 17th century stone fireplace now housing a Morso multifuel stove. 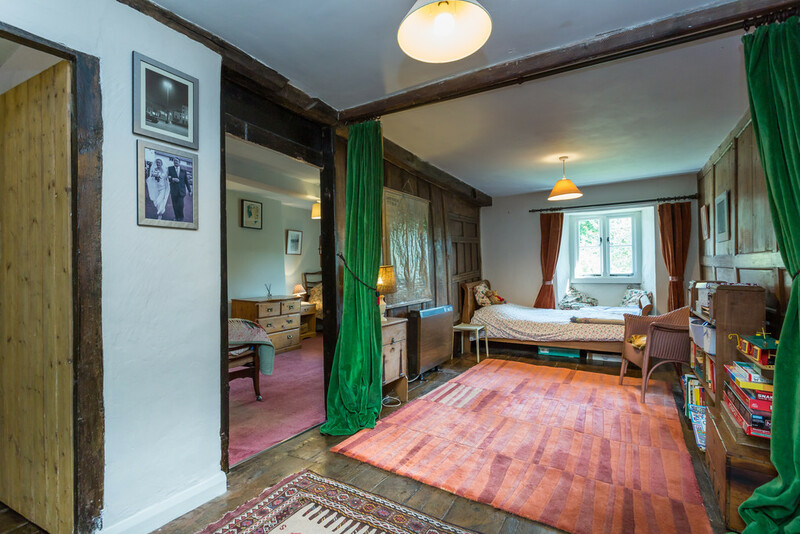 The inner hall provides access to a versatile room quietly tucked away to the rear of the property. 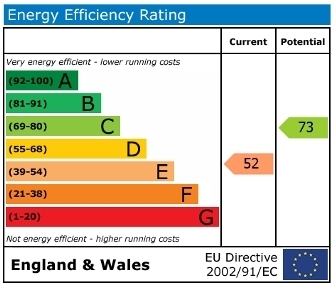 At present it is utilised as a home office however was formerly a double bedroom, still benefitting from an ensuite shower room. 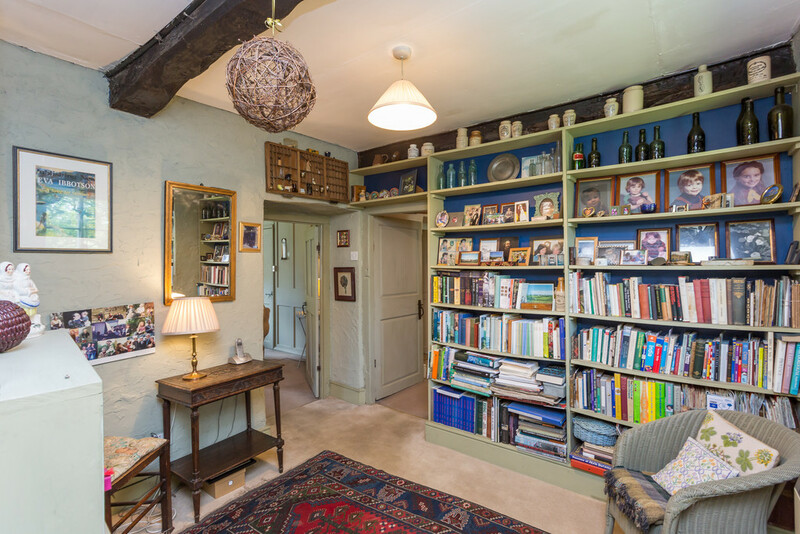 Leading into the library, the final part of the original cottage still features the original external door that now leads into the kitchen. Created from a Victorian outhouse, this lovely country style kitchen serves as the heart of this wonderfully unique home. Designed by the renowned Out of The Woods Kitchens of Lancaster, it includes a traditional range of solid wood units topped with wooden worktops that encompass a Belfast sink. 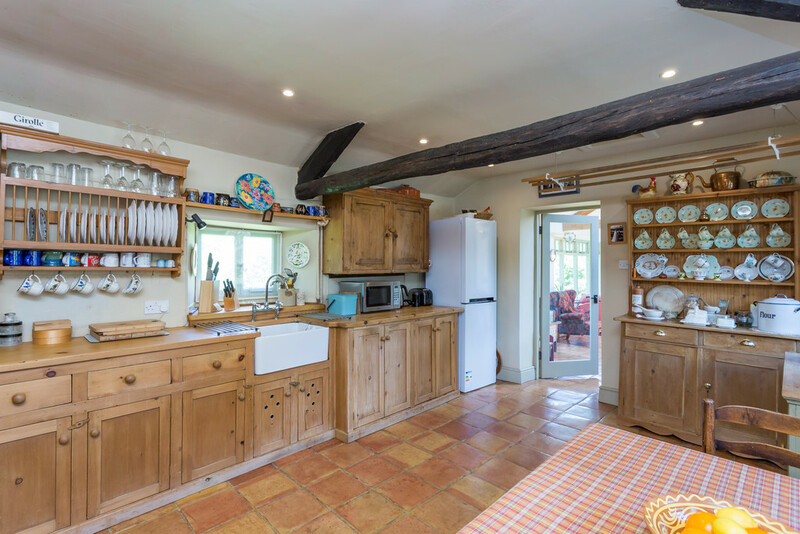 Appliances include a Rayburn cooker and an oven. The floors are finished with quarry tiles marrying perfectly with the humble aesthetics and there is plentiful natural light afforded via a dual aspect. A glazed door leads on to the garden room, an extension completed in the early 2000s. 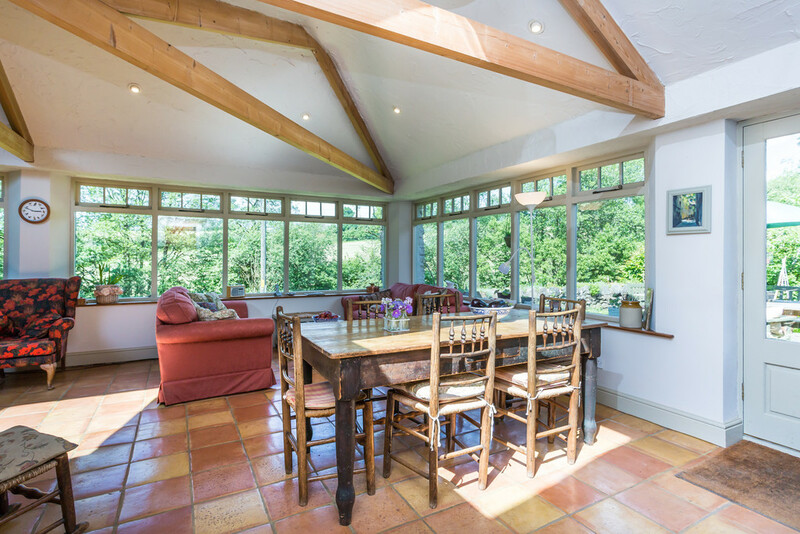 This stunning open plan living and dining space features two walls of windows that look out over the rear garden and adjoining field, completely capturing the peaceful views of the local wildlife on offer here. into the main part from the drive and a hay loft above formerly utilised as a hen run. 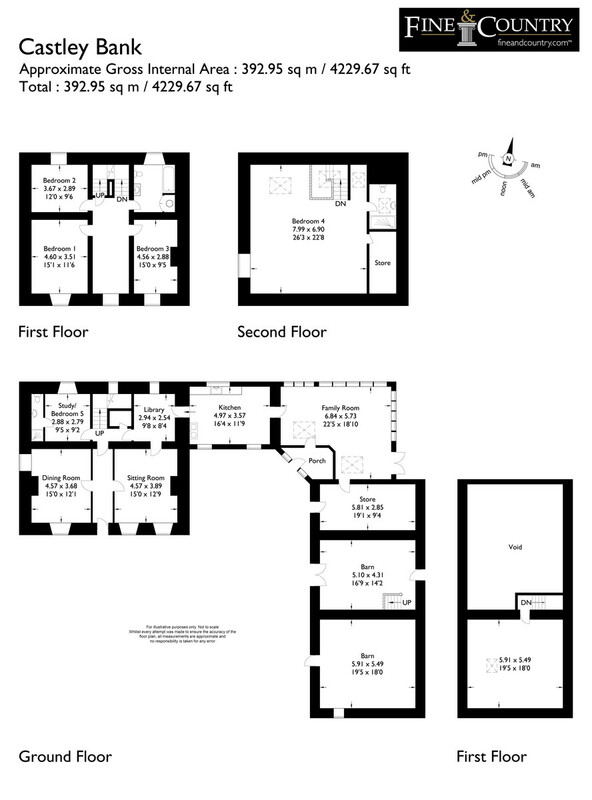 Castley Bank sits within a plot of approximately 2 acres. To the front, there is a beautifully landscaped garden centred around a sundial and symmetrical box hedges encasing an array of colourful flowers including aquilegia, geraniums, marguerites, poppies and roses. 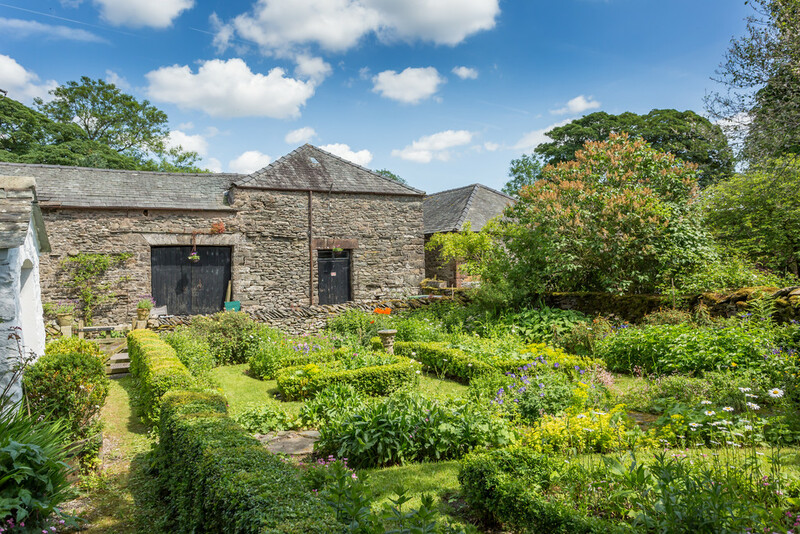 Just off the drive, there is also a kitchen garden with an array of vegetable beds well stocked with beans, courgettes, potatoes, leeks and onions and a soft fruit cage with raspberries and red currants. To the rear, a flagged patio is accessed off the garden room making it the ideal space for entertaining and alfresco dining. This tranquil space leads into a further abundantly green garden filled with a variety of plants and shrubs, roses, apples and plums trees all surrounded by lush hornbeam hedges. Gates then lead into the adjoining paddock of approximately ¼ acre, a great addition to this already abundant package that offers discerning purchasers so much potential. 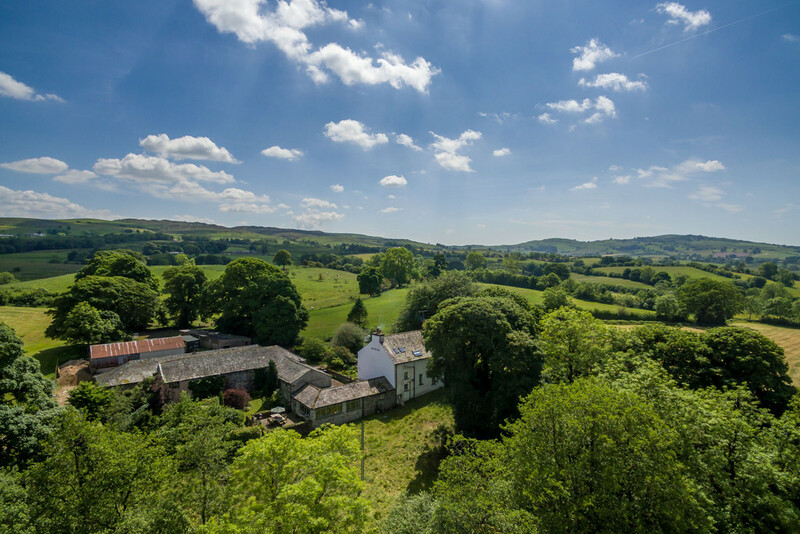 Grayrigg is a village situated in a convenient location 4.9 miles (8 km) north east of Kendal and can be found by travelling out of Kendal on the A685. On entering the village proceed past the primary school and the church on your left, following the road down. Taking the first turning on your right, then bear left and follow the lane up, the turning to Castley Bank is then found a short way along on your left. Follow the drive up and the house is then on your left pull into the courtyard to the side of the barn and park.